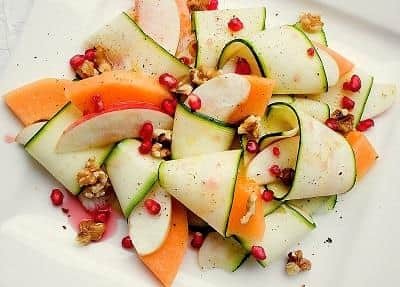 If you are a health conscious individual, you’ll love this particular food creation. 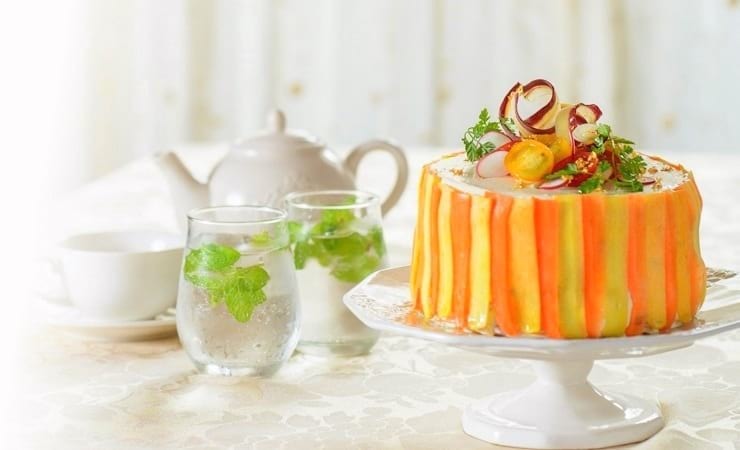 The low carb, gluten free vegetable cakes, or Vegedeco Salad, are truly a healthy spin on the traditional cakes. Invented by food stylish and designer Mitsuki Moriyasu, Vegedeco Salad is made with sponge cake made of Japanese traditional kōji and domestic soy flour. The natural colors of the vegetables used in the cakes give each cake a unique and beautiful design. Mandarin meat fruit is a liver parfait canapé, coated in a mandarin jelly. 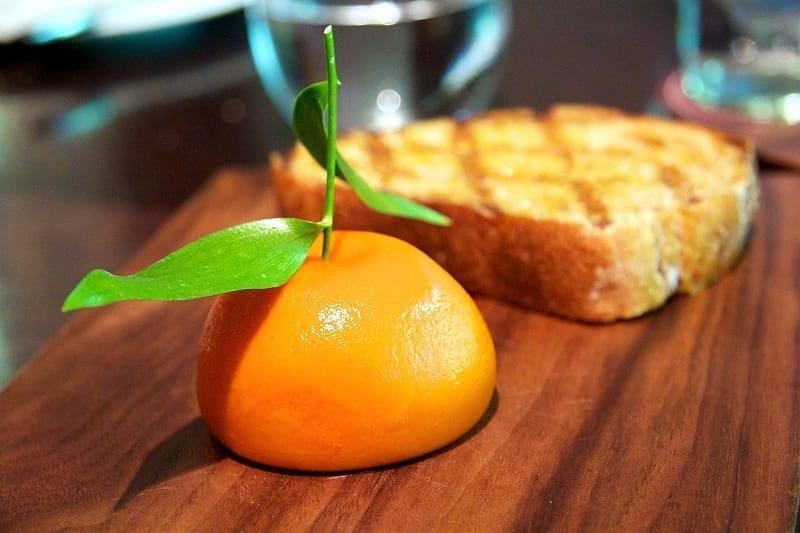 It is an ingenious food innovation at Dinner By Heston Blumenthal restaurant. The shape and texture look just like a perfect ripe mandarin orange. Once you cut through the mandarin orange jelly layer and spread it on the bread, it releases a citric aroma to sooth the taste of the rich liver parfait layer inside. A perfect union of flavors! A monkfish has a monstrous, unappealing look, with a flattened head and the body appearing merely like an appendage. Monkfish meat is white and very firm-textured. Monkfish liver is considered as the foie gras version from the ocean. 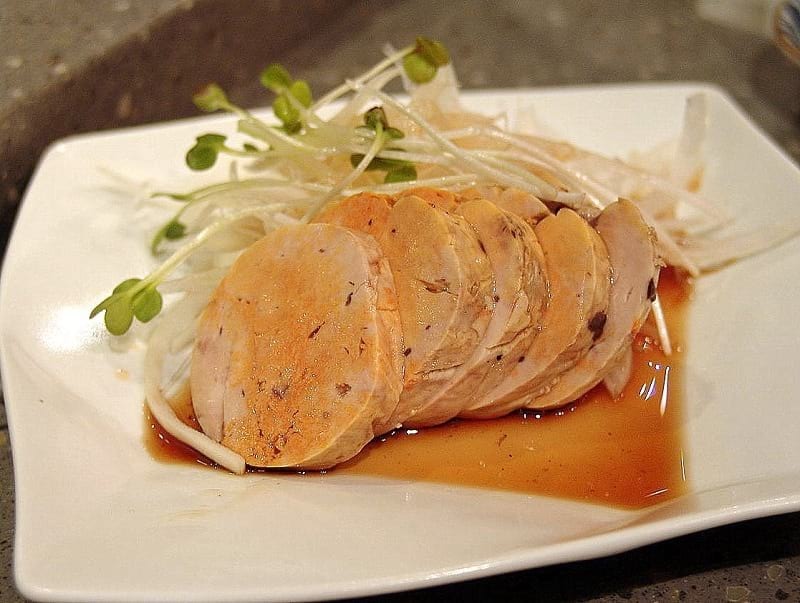 “Ankimo” is a Japanese dish made with monkfish liver steamed in sake. It is often served with grated daikon, sliced raw scallions in ponzu sauce. If you are not a fan of fish, this dish is definitely a challenge to chow it down for you. This dish has been around for quite some time. Spicy tuna on crunchy, crispy rice is one of the very popular dishes in Los Angeles area where the melting pot culture has been rooted in the community for a long time. If you love sushi, this is a must-try dish. Taking the spin of the traditional sushi rolls, this dish adds different textures when you take a bite on it. The softness of spicy tuna is complimented by the crispy texture of fried rice grains. 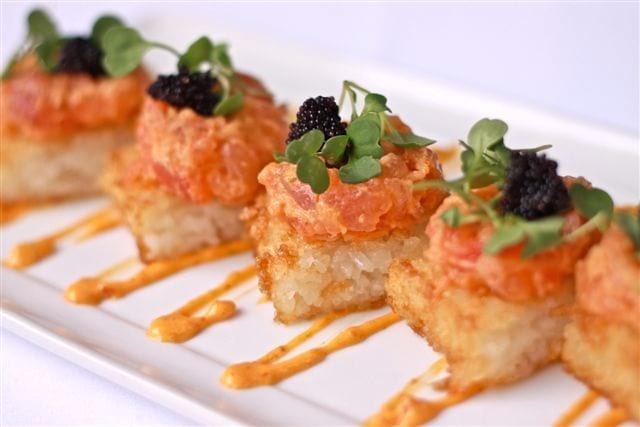 At the picturesque Yamashiro restaurant in Los Angeles - CA, their spicy tuna on crispy rice dish is also topped with black caviar. It adds a nice burst of flavors in your mouth at the very first bite. 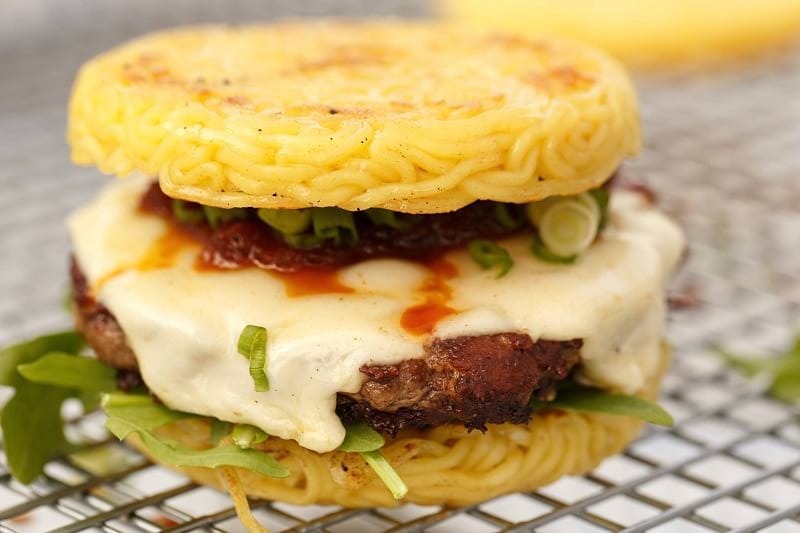 When East meets West, it results in many brilliant fusion dishes such as ramen burgers. Ramen burger is originally created by Japanese American chef Keizo Shimamoto. Shimamoto spent most of his childhood moving back and forth between Los Angeles and Tokyo. He grew a passion for ramen noodles. The result of his passion is a sensational dish, the Ramen Burger. A shoyu-glazed burger patty is put between two eggy ramen buns. The crunch of the fried ramen buns compliments the meat patty so well. You’d have to stand in a long line for a bite of this burger. Talking about rich comfort food, nothing is more fulfilling than a doughnut. But this particular doughnut is a serious calorie-packed food. 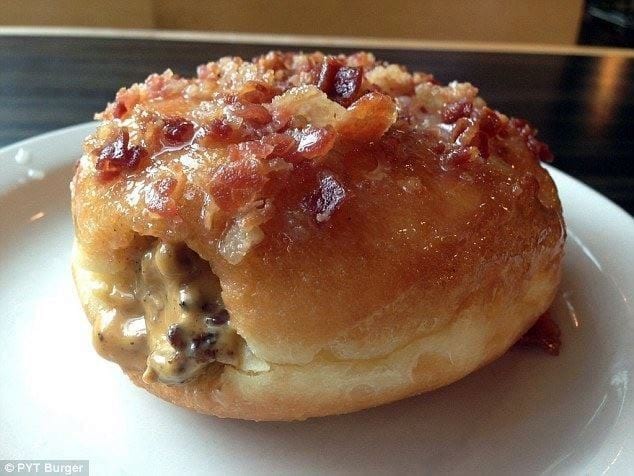 A burger joint in Philly created a D’oh Nut Burger, a savory doughnut with a cheese burger filling inside, topped with bacon bits. Are your mouth watering right now? If not, take a look at the image below. Need we say more? If you are a burger fan, you have to try a burger creation by Mathew Ramsey. His recent cookbook “PornBurger” features many out-of-the-box, mouth-watering inventions of burgers. Ramsey is truly a burger artist in his own right. 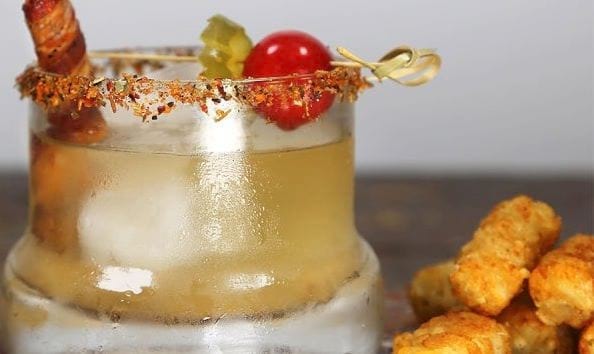 Liquid burger, a cocktail consists of White Castle infused Bulleit Rye, a splash of tomato water and spicy pickle juice, a touch of liquid smoke and some burger salt rub for the rim of the glass. To top it off, you can slurp down this burger delightful drink through a straw made of crispy smoked bacon. If you haven’t had a chance to try this yummy food invention for brunch, you are missing out. 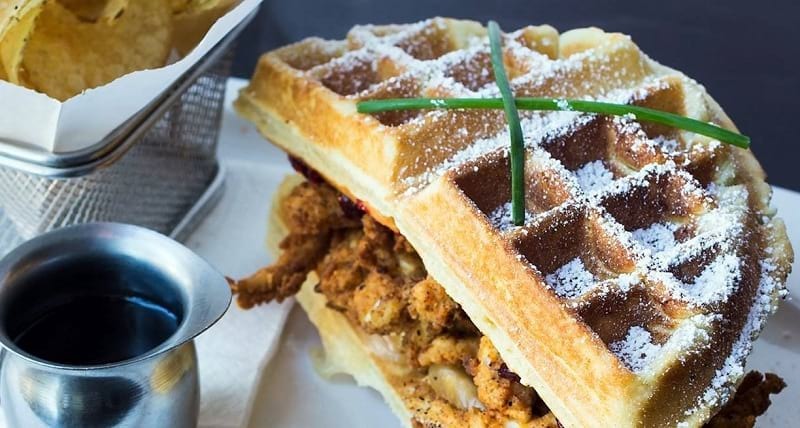 Monte Cristo fried chicken waffle featuring crispy chicken, raspberry jam and layers of melting Swiss cheese sandwiched between crispy waffles and dusted with powdered sugar. Talking about over-the-top food creations, this Quintessential Grilled Cheese Sandwich is one of them. 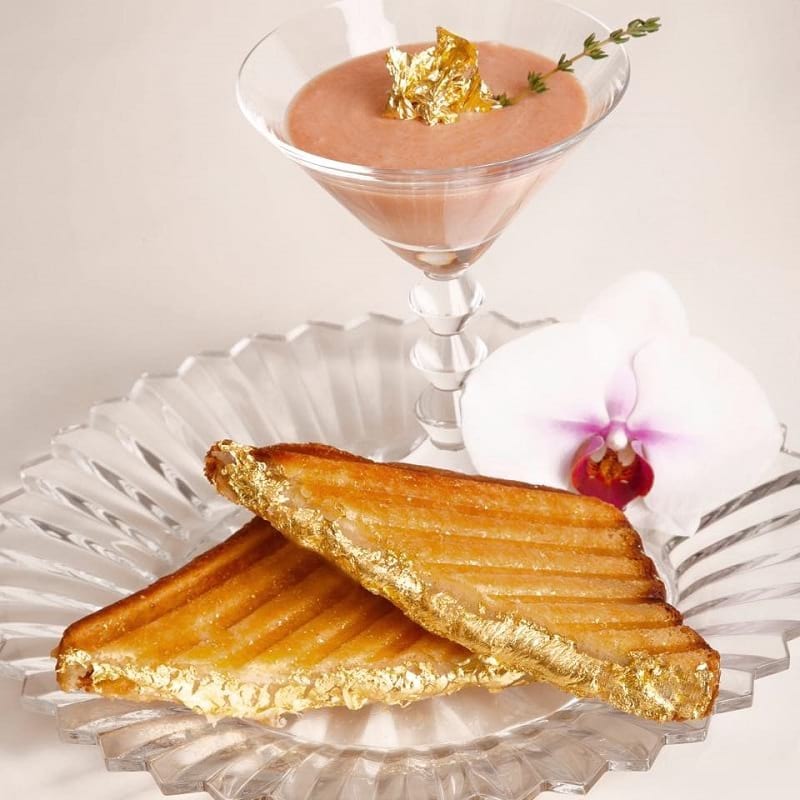 To celebrate their 60th years in business, a restaurant in New York City, Serendipity 3, puts a luxurious twist to the everyday comfort food, a grilled cheese sandwich now coated with a layer of 24 karat edible gold flakes. The two thick slices of bread made with Dom Perignon champagne, were coated with thick layers of grass-fed white truffle butter and 24 karat edible gold flakes. The cheese slices were also the rarest and finest Cacio cavallo Podolico cheese. The edges of the cut sandwich are coated with a thick layer of 24 karat edible gold. The entire creation received a Guinness World Record for the most expensive sandwich in the world with a price tag of $214. The New York City restaurant Serendipity 3 also won another Guinness World Records with their over-the-top sundae ice cream creation with a whooping price tag of $1,000 USD. 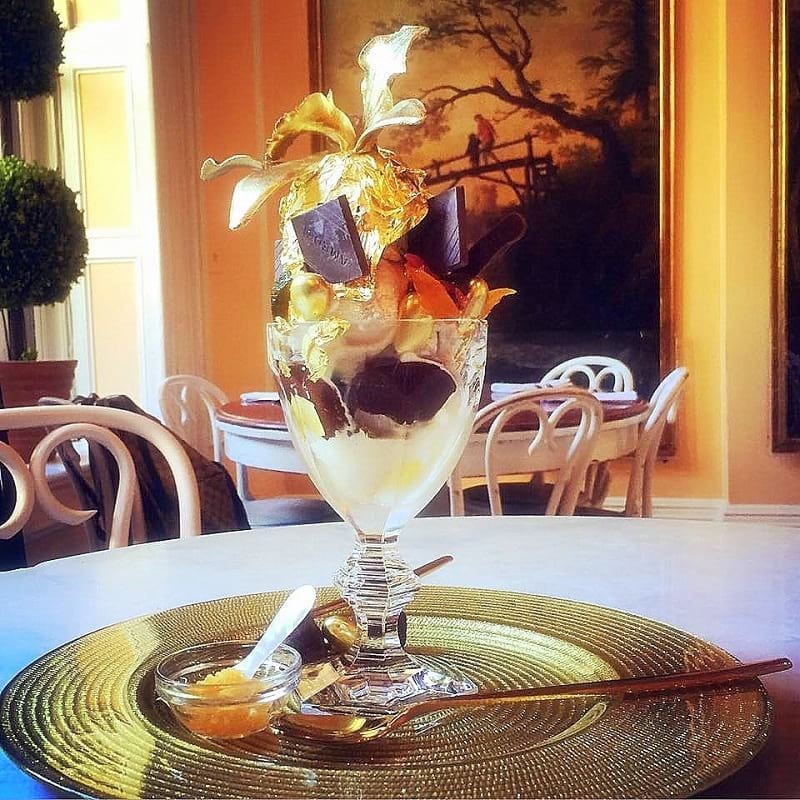 To celebrate the restaurant’s 50 years in business, they created the Golden Opulence Sundae. Golden Opulence Sundae is made of rich Tahitian vanilla bean ice cream infused with Madagascar vanilla and covered in 23k edible gold leaf. The chocolate syrup drizzling on top of the ice cream is from melted Amedei Porcelana, one of the world's most expensive chocolates; and covered with chunks of rare Chuao chocolate. Added to the dessert is a small glass bowl of exclusive Grand Passion dessert caviar. The sundae also comes in a $300 Baccarat Harcourt crystal goblet which the customers get to bring home with them. The sundae has to be pre-ordered 48 hours in advance to allow time for all the rare and finest ingredients to be flown in from all around the world. We have to put this frozen hot chocolate on the list for many reasons. 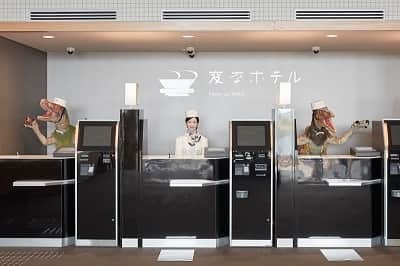 First of all, customers have to wait in line for a good few hours to be seated before they can slurp on this famous drink. 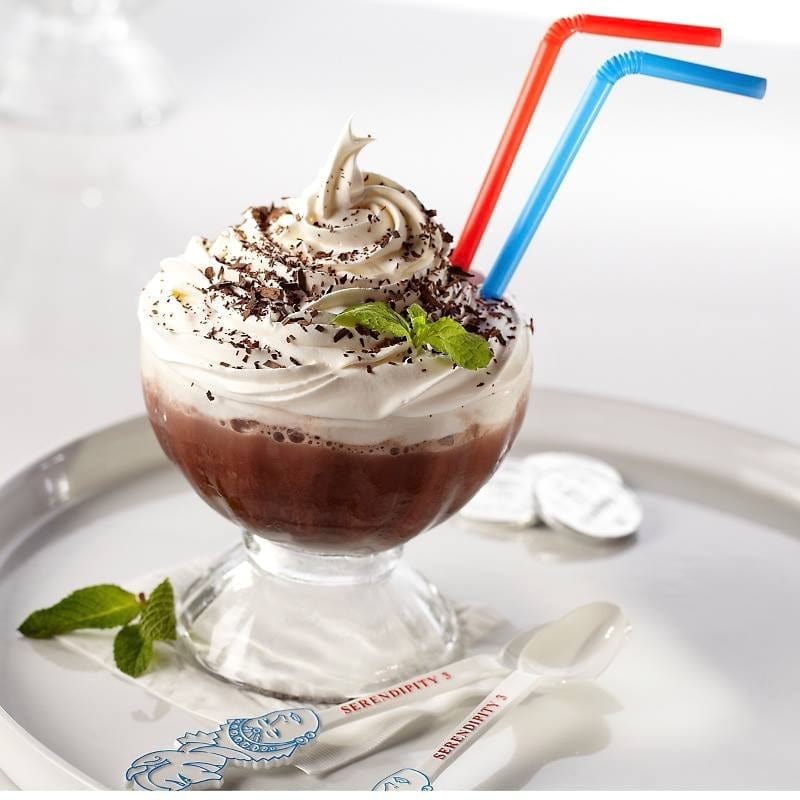 Secondly, according to Serendipity 3, more than 10,000 orders of this frozen hot chocolate drinks are served monthly. The talk-show host and TV mogul Oprah Winfrey is one of the fans. This concoction is one of her favorite things. The frozen chocolate drink from Serendipity 3 made Oprah “wanted to dance on the chandeliers”. 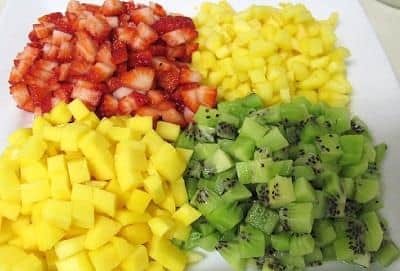 Thirdly, this is an equally yummy treat, an alternative pick-me-up treat if you bypass the luxurious golden grilled cheese sandwiches or the golden Opulence sundae created from the same kitchen. Now, have we intrigued you enough to try? Another everyday comfort food has been turned into one of the most luxurious treats of all time. We all love a soft, melt-in-your-mouth glazed doughnut to go with our cups of coffee in the morning. But this doughnut is definitely not your regular sweet treat in the morning. 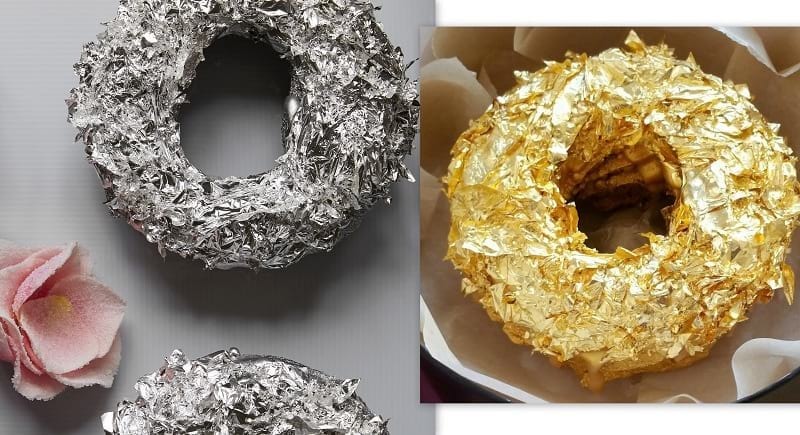 Golden Cristal donut is a creation of the musician, fashion executive and fine art insider, now Chef Björn De La Cruz who brings casual luxury and a sense of progress to Filipino Cuisine and the dining experience. The Manila Social Club Golden Cristal Donut is made with Ube, a naturally purple sweet yam found in the Philippine, mixed with Cristal champagne. The filling is an Ube mousse and a Cristal gelée (jelly-like texture). It is then covered in a Cristal icing and dusted with 24K pure gold dust and hand-gilded with 24K pure gold leaf. Now that is a real rich treat! 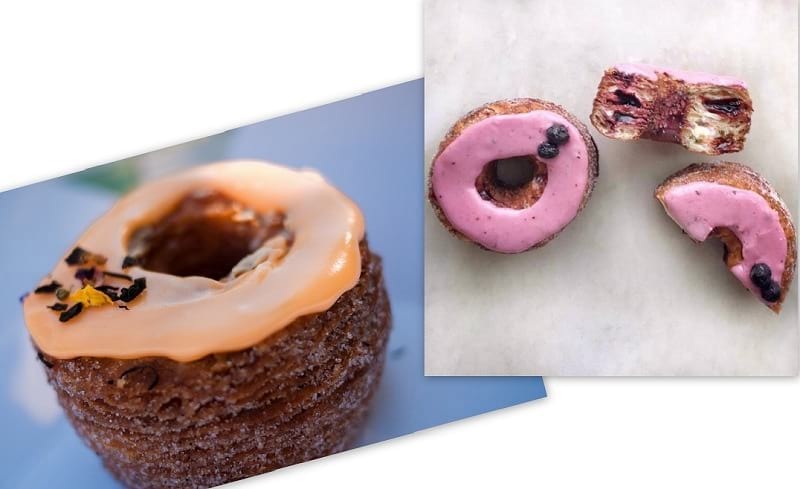 Made with laminated dough which has been likened to a croissant, the Cronut pastry is first proofed and then fried in grapeseed oil at a specific temperature. Once cooked, each Cronut pastry is flavored in three ways: rolled in sugar, filled with cream or topped with glaze. The Cronut pastries are made fresh daily, and completely done in house. 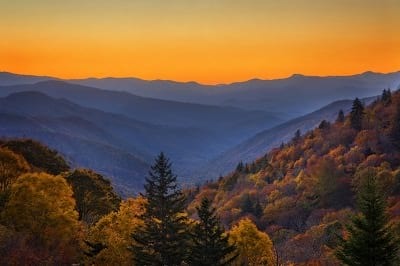 The entire process takes up to 3 days. There is only one flavor of the Cronut pastry every month. After the hype of cronut creation, there are more and more hybrid food inventions. Churro ice cream cone is definitely one of the most yummy hybrid creations of all time. 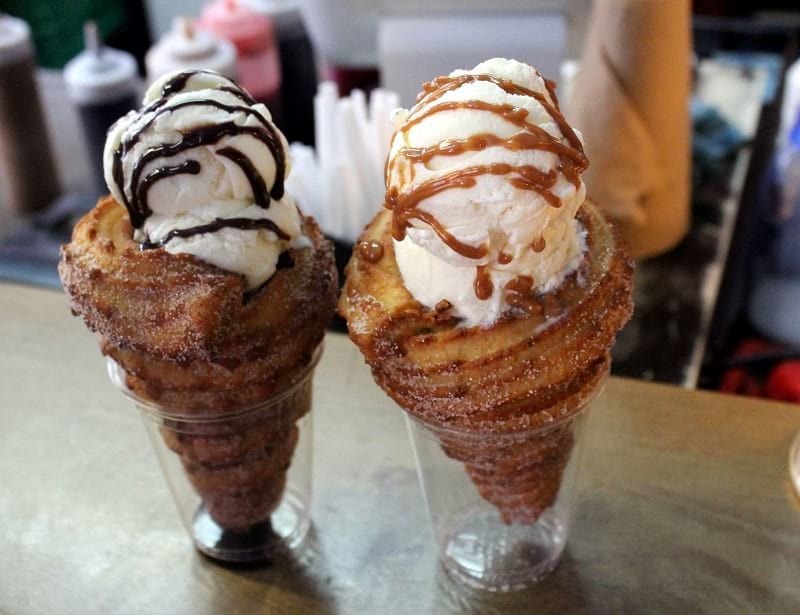 If you love churro and ice cream, you have found your heaven-on-earth dessert. Ice cream in a churro cone is a perfect marriage of the two popular treats combined all together in one sweet indulgence. Boba tea is not a new thing on the market but it is a drink with so many potential fun creations to go with and you can’t really go wrong. An ingenious creation is the cotton candy boba tea. Yes, it is still a boba drink with your choice of tea and toppings. 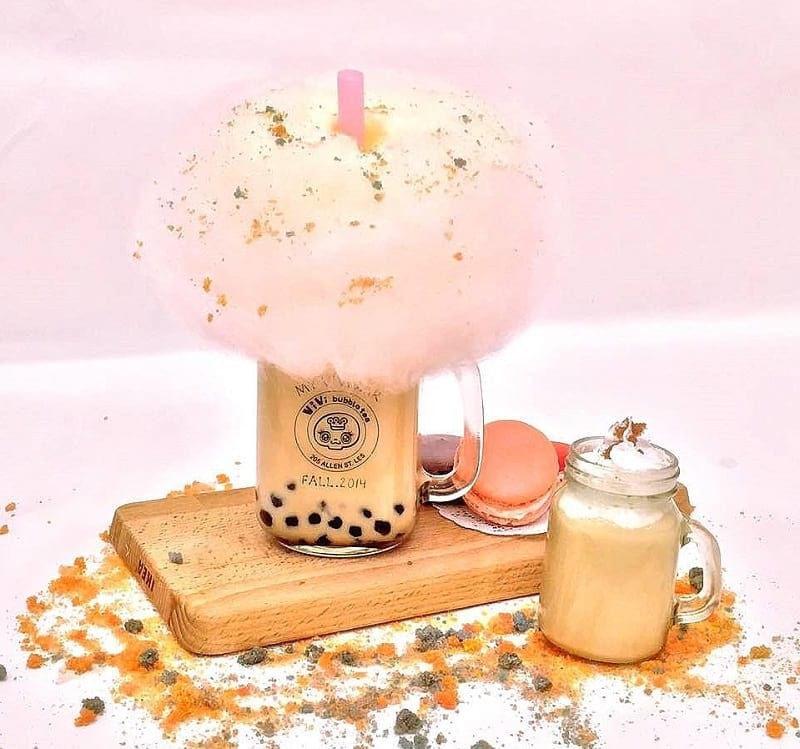 To top it off, many boba restaurants add a giant cloud of cotton candy to cover the rim of the glass or jar. You can be really creative with the color and sprinkles on the cotton candy cloud. It'll make you want to blow the bubble cotton candy cloud through your straw. It makes everyone a child again.